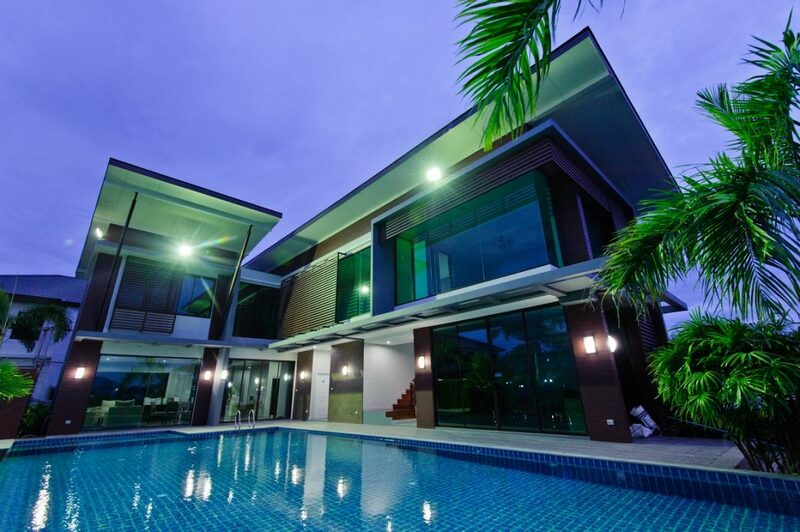 Home Design Do swimming pools really add more value to your property? Before adding a pool to your home, it pays to consider your medium term intentions. Will you still be living there in five years? Will your children still be living at home? A pool is a major expense. But is it an investment in anything more than leisure? Pools – benefit or burden? A pool can increase the resale value of our homes and may even shorten the sales cycle if you find the right buyer. However, contrary to what most of us think, not everyone desires a pool. Some potential buyers will see issues like maintenance and safety as a very real negative. Despite loving your home, the pool can be enough to kill the sale. Of course, pool builders will always tell you that a pool will add to the value of your property. They’re probably right but it’s a contentious statement. Of course, a pool is a lot more than just an area for swimming. A well designed and landscaped pool is integrated with the home’s architecture, which focuses on the aspect of style and functionality. It becomes a feature which best complements the garden and landscaping of the property and often provides a view where none existed. OK, there’s no doubt a well built pool will last 20 years before needing refurbishment. But if your objective is to build a pool for your children to enjoy, make sure you think about how long they’ll be around to use it. My parents installed a pool when we were pre-teens. It got lots of use. But then my parents decided to build a new home with an even bigger pool. By then, we were late teens. Before the house and pool were finished, my sister left home and I was gone two years later. That pool became an increasing burden over the ensuing 25 years since neither of my parents enjoyed swimming! The point is that you really need to consider whether your pool is going to get the use you want it to. It may be a much better option to commit to regular trips to the beach or the local swimming hole. Let’s face it, building a swimming pool is an expensive endeavour. The expense doesn’t stop with the pool, which, in itself, can easily run to $50,000. You then have the associated landscaping costs including your pool surrounds, access paths and general landscaping. You will probably be required by law to provide a child-proof fence around the pool. And you’ll probably also spend more money repairing your lawns and garden after the machinery and trucks have rearranged them. Pool construction requires very important consideration in terms of size. Obviously, size effects cost, but it also impacts on the style and functionality of the property. A pool of the right size complements other features of the property such as the landscape and garden. A smaller pool might also allow space for barbecue, pizza oven, cabana or a shed. Above ground pools are significantly less expensive than in-ground pools. Assuming you have a level area, they are very easy to install and, importantly, can be just as easily dismantled when they outlive their usefulness. They also tend to be smaller so they require less space. The negatives are that above-ground pools are less durable and aesthetically inferior when compared with an in-ground pool. Swimming pool construction requires a permit. Its best to consult local councils first, for they have set standards with regards to pool construction and safety. Construction cannot take place without a permit for there are important aspects such as reactive soil, presence of underground cables, and other utility pipes which require consideration. Pools require constant maintenance to ensure safety and cleanliness. Even a ‘maintenance free’ pool requires maintenance. Skimmer boxes need to be checked and emptied, filters need to be flushed, chlorinators and pumps wear out and even filter housings need to be replaced over time. Don’t forget to add in the power needed to run the filter pump for anything up to eight hours a day. These are some of the things that turn a ‘would be’ purchaser away. It’s easy to wear rose-coloured glasses when planning the pool but reality bites once the pool is in. There are pool drownings every day of the week. If there is any risk of children gaining access to the pool, a pool fence is really a necessity… even if you are not legally required to install one. There is also the very real risk of pathogens causing illness if the pool is not correctly cleaned and the PH balance maintained to the correct levels. Think of a pool as in investment in pleasure only. It is exceptionally rare that the cost of a pool is recovered when you sell your home. If you live in the appropriate climate, have young children and do not have easy access to alternatives, installing a pool may be the best thing you’ve ever done. But consider the realities objectively. Until then, why not share your thoughts and opinions via the comments box below? Next articleThe world’s safest small airplane starts deliveries!